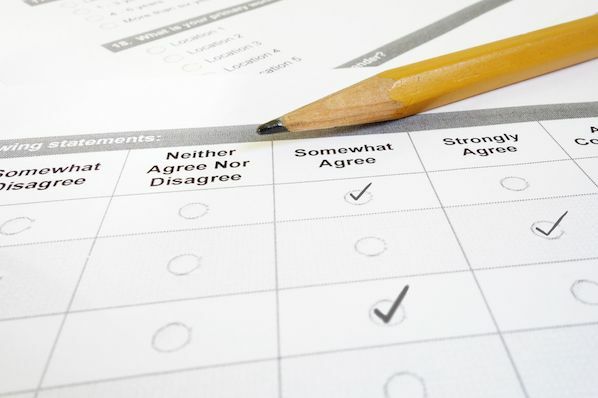 Customer surveys allow businesses to collect large amounts of customer feedback in a short period of time with minimal effort required of the customer. These insights help businesses quickly and easily adapt customer feedback and requests, as well as identify potential advocates for testimonials and case studies. With all the focus on customer acquisition these days, it's easy to overlook one of the biggest potential sources of new revenue out there: your existing customer base. Data gathered by Invesp's Khalid Saleh suggests that it's five times more expensive to attract a new customer than to sell again to an existing one. But despite this, he claims, "44% of companies have a greater focus on customer acquisition vs. 18% that focus on retention." The existing customers you've retained may be the key to your company's massive growth, and customer surveys are one of the best tools for driving these future wins. But if you've never sent a survey before, how do you know what to send? 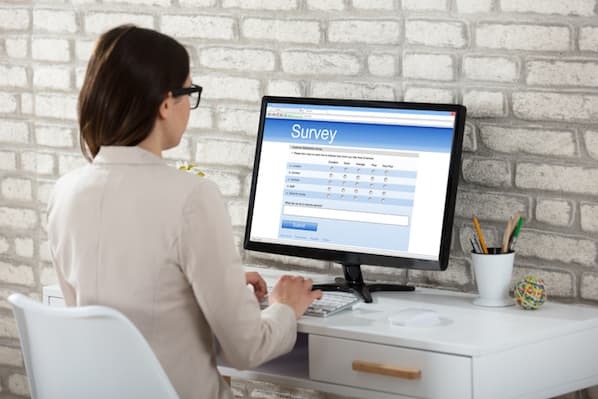 What types of surveys will be most effective, and when should they be sent? Keep reading to learn my exact process for driving growth with customer surveys. The development of digital survey technology has made it easier than ever before to poll your customers. But with this great power comes great responsibility. Send too few surveys, and you'll miss valuable feedback. Send too often, and you risk alienating the customers you're counting on for future growth. Developing a survey strategy that's informative, but not intrusive, requires an understanding of what you're hoping to achieve with your customer surveys. Post-purchase surveys to measure satisfaction with the product or service purchased, the delivery, or the onboarding experience. Net Promoter Score® (NPS) surveys to determine customers' likelihood of recommending your brand to others. Product or service development surveys intended to capture customers' desires for future launches (for example, asking for advance feedback on a possible line extension). Asking the right questions in a customer survey is key to getting the information you need to make informed decisions. Here are some typical customer survey questions and what information their answers reveal. 1. On a scale of 0-10, how likely are you to recommend [PRODUCT/SERVICE] to your friends and colleagues? This is an NPS survey question that measures customer loyalty. If the customer responds with a 9 or a 10, they're loyal customers who may be willing to serve as your advocate. But if their score is between 0 and 8, you need to do some more work to make them happier. Reach out to them proactively to ask for feedback. 2. How satisfied were you with your experience? This is a customer satisfaction survey question that measures how happy, or unhappy, a customer is with your product or service, or a one-off customer service experience. 3. How easy was it to solve your problem with [PRODUCT/SERVICE]? This is a customer effort score (CES) survey question that measures how easy or difficult it was for a customer to use your product or service. 4. How would you rate your experience with [PRODUCT/SERVICE]? This is a semantic differential survey question used to measure customer sentiment about your product or service. 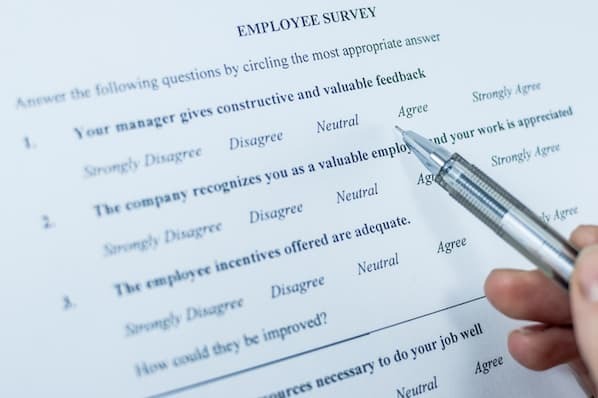 Each of these survey questions can be used in different ways to gather important customer feedback that will help you improve and fine-tune your customer experience. Since a post-purchase survey is asking for feedback on a transaction that's already occurred, it doesn't necessarily drive growth by stimulating additional purchases (though offering a coupon or discount code for survey completion can have this effect). Improve brand sentiment by positioning your company as one that cares about customers' outcomes. Identify problems with the ordering process - or your products and services themselves - that can be corrected before they lead to bad reviews. Gather additional information about your customers in order to send more targeted promotions in the future. Deepen the relationship you have with new customers. The specific questions you'll ask on your post-purchase survey will depend on which of these goals you're trying to achieve. If you're using a marketing automation tool, create a workflow or campaign so that this message is sent out automatically upon purchase. But you may want to incorporate a delay so that this survey request isn't sent out immediately, but instead is delayed for a few days so that customers have a chance to get up and running with your product. If it makes sense to do so, you can also include a request to take your post-purchase feedback survey in a more traditional welcome email. Test different message contents and sequences to find the combination that spurs the most survey completions among your new customers. Adding a post-purchase survey to your checkout flow is a good way to capture valuable business-building feedback from new buyers. But what about customers that are already in your system? What if you want to turn them into advocates for your company? Again, customer surveys can be your new best friend. In this specific case, you'll want to use what's known as a Net Promoter Score (NPS) survey. The goal of an NPS survey is to determine which of your past customers like your brand enough to refer you to others. This is done by asking them to rate the likelihood that they'd advocate for your company on a scale of 0 to 10. According to the official Net Promoter Score definition, those who score your company as a "9" or "10" are "promoters." Those who give you a "7" or an "8" can be considered "passive customers," while those who rate you below a "6" may actively be detractors. Most email marketing providers offer templates for these types of surveys (whether they call them NPS surveys or not). Certainly, if you receive a "detractor" score from a customer, you'll want to investigate further to determine what went wrong. Again, this can lead to the kind of information needed to grow sales by improving the satisfaction and experience of future customers. "Passive" respondents can be followed up with in much the same way. Rather than ask what went wrong, ask what could have made their experience even better to capture process- or product-improvement information. Finally, identifying the "promoters" among your customer ranks is the first step in implementing a formal referral-marketing program. According to Extole, referral marketing is "a method of spontaneously promoting a business's products and services to new customers by word of mouth. This can happen through a variety of channels such as email, mobile, and social media." Referral marketing programs can be formal or informal. An informal referral marketing program might involve asking customers who have identified themselves as "promoters" to suggest your brand to family members or friends. A more formal program might involve the creation of a one-way or two-way incentive program through which customers earn cash or credit towards future purchases for successfully recruiting new customers. Effective referral marketing programs come in all shapes and sizes, but they all allow you to drive more sales from your existing customers. Set yours up manually or using a marketing automation campaign so that customers who respond positively to your NPS survey are sent invitations to join your program, as well as instructions on how to participate. I've personally found that the best time to send the NPS survey is after the customer has reached the "aha moment" where the value of your brand becomes clear to them. For ecommerce companies, this can occur after the first purchase (assuming you've created a positive delivery experience). For SaaS companies, or those with greater onboarding and activation requirements, this may be later in the game, after new customers have carried out their first major project or campaign using your tool. The potential of customer surveys to drive future sales is really limitless. But because covering all of them would take an entire book, one last survey type I want to cover is the product or service development survey. Let's say you're thinking about adding a new product or service to your company's existing offering. Who better to advise you on whether your new addition will be a home run or a strikeout than your current customers? Surveying them in advance on what they'd like to see and how they'd respond to future offerings minimizes your risk of serving up duds. 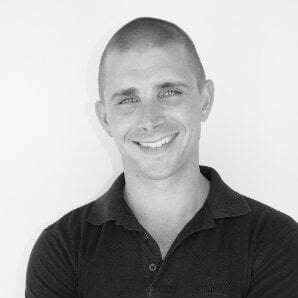 In an article on For Entrepreneurs, Brent Chudoba, VP at SurveyMonkey and General Manager of the SurveyMonkey Audience business, shared the example of Modify Watches -- a young start-up that was having trouble building an audience. To determine how to allocate its limited resources, Chudoba helped Modify develop a survey intended to measure how future customers would respond to different price points or delivery models. For instance, one of the questions asked was whether or not respondents would be likely to purchase through a subscription model (roughly 60% of participants were at least slightly likely to do so). Because this 60% was high compared to the 70% that indicated they'd be likely to purchase a Modify watch at all, the company could confidently make the decision to pursue subscriptions as a pricing model. 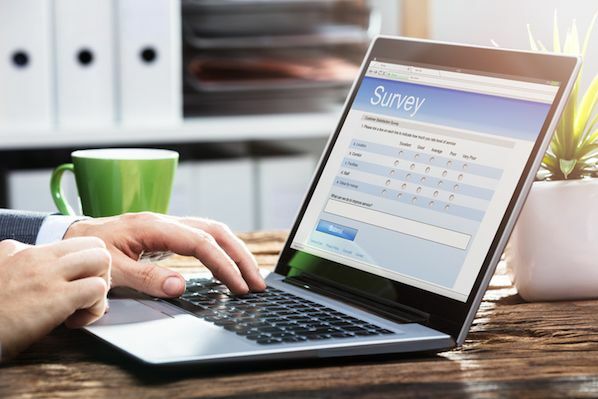 According to Chudoba, "If you want to talk to your own customers, and understand product satisfaction, feature requests or anything else, a survey can be a great tool. You most likely have email addresses for your customers, or can provide a feedback link on your site, or even embed a survey in-product." If putting all of these different surveys into place sounds overwhelming, don't worry -- you don't have to do it all at once. If you're a new company, start with post-purchase surveys so that you identify any problems with your processes early on. If you've built a customer base, but they've grown dormant, pair an NPS survey with a new referral marketing program to jumpstart sales. If you're approaching a new product or service launch, focus first on a survey that'll give you the information needed to maximize its financial impact. Expand as you go, keeping your customers' needs at the forefront. With a little effort, these surveys will make it possible to drive massive growth based on the engagement of your existing customers alone. Are you using customer surveys to drive growth? If so, share any other tips you'd add to this guide with me on Twitter. Want more? Learn how to create a survey on Facebook, using Google Forms, or with Excel.